Looking for Spanish Catholic apps? We’ve got them! Buscando aplicaciones católicos españoles? Los tenemos! All the Catholic apps in our catalog that are available in Spanish are listed below (along with a few extra gems that we found). This is a convenient one-page listing so you don’t have to scan through each and every app we list in this web site to find the ones available in Spanish. We welcome your recommendations which you may add to our list in the Recommendation/Comments section below. Be sure to read instructions in the apps you download as most default to English. Usually, you will need to locate the language settings to switch to Spanish. Todas las aplicaciones Católicas en nuestro catálogo que están disponibles en español son los siguientes (junto con algunas joyas adicionales que encontramos). Esta es una página cómoda lista para que usted no tiene que buscar a través de todos y cada aplicación que enumeramos en este sitio web para encontrar los que están disponibles en español. Damos la bienvenida a sus recomendaciones que usted puede añadir a nuestra lista en la sección de comentarios a continuación. Asegúrese de leer las instrucciones en las aplicaciones que se descargan como la mayoría defecto Inglés. Por lo general, usted tendrá que localizar la configuración de idioma para cambiar a español. We are blessed to launch this Spanish listing on the feast of St. Teresa of Avila (S. Teresa de Jesus). 365 Days With Mary — developed by Our Sunday Visitor as a valuable resource for the 100th anniversary celebration of the apparitions of Our Lady at Fatima. This app comes to you fully loaded with a variety of Marian resources–text, video and audio! You get a rosary guide (English and Spanish); Divine Mercy Chaplet guide; daily Marian reflections; Stations of the Cross reflections (audio option); popular Catholic prayers; Works of Mercy listing; the Pope’s prayer intentions (video included); information on Our Lady and more. You may set up reminders (phone/tablet alerts) to help you remember to pray daily. Take a test drive of this app here. Apps containing the Roman Missal in Spanish use the approved texts for Spain. App developers are waiting approval from the USCCB on the US Spanish lectionary. 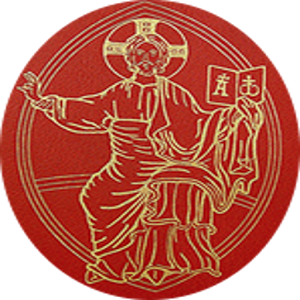 Missale Romanum iOS ($10.99) Android ($13.57) Looking for the complete Roman Missal in Latin and/or Spanish? Here it is. The easy navigation allows priests to set their pages in preparation for Mass. Here’s how: tabs replace ribbons and the tabs remember the last page accessed. Preset buttons allow you to set certain pages to access like readings, so you can navigate to them rapidly. Contains complete liturgical calendar, but sensitivity to your particular location/country may not be accurate. LANGUAGES: Currently the only languages available are Latin and Spanish which you can view as a single language or in split screen with two languages simultaneously. Partial versions are available in these languages: Latin-English, Spanish-English, Latin-Italian, Spanish-Italian. It is anticipate these languages will be available in full versions over time. Check out this video to see how the app works. Holy Rosary Deluxe ($1.99)–iOS – This has a pretty, church lady interface with 5 different modes of counting including your choice of bead versions. Intuitive slide of your finger over the bead image to keep track of your prayers. Divine Mercy Chaplet included. You can switch to right or left-handed bead counting for your thumb. Full text of all prayers included. Audio option for clicking sound and background music. Interface makes it easy to pray with your eyes closed because of the sound and vibration options available for each bead or just the decades. You can customize this by changing the photos for each mystery using photos in your collection. Resumes where you left off when you return. Adjust the font size. English, Spanish, Italian, French and Latin. There is a “Lite” version of this available for $.99. Lacks some customizable features. Includes option to turn off Luminous Mystery. 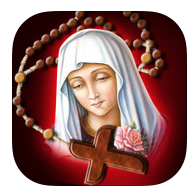 Prayer app iOS ($2.99) This is a multi-language database of what developers call the ultimate reference to Catholic Prayers for your iPhone or iPad. Keep handy all of the Common Prayers listed in the Compendium of the Catechism of the Catholic Church and many more in English, Latin, Italian, German, French, Portuguese and Spanish. Blessings, novenas, Way of the Cross, prayers for various occasions, 150 Psalms, Marian prayers. Location sensitive to your area. Ability to set up a “favorites” list and share prayers on Facebook. Catholic Bible by Just 1 Word ($1.99) iOS only. This app comes pre-loaded with the New American Bible Revised Edition – NABRE. This is the Bible (in English) which is approved for use in the United States and is the one used for the English Roman Catholic Mass readings. After you download this app, you can select an approved Spanish Catholic Bible, Dios Habla Hoy, as an additional purchase $6.99. Bible App (Free) iOS, Android, BlackBerry, Windows Phone, Windows 8, Kindle Fire, Symbian, Java, HP/Palm. Developers say this is the #1 Bible app in the world. You get to choose from hundreds of bibles in more than 150 languages including Spanish with interface in 30 languages. Some of the Bibles are approved Catholic versions like NAB-RE and Douay Rheims. A drawback is you must be connected to the internet to use most content in this app, but some Bibles are imbedded in the app so you can read them off line. That leads to another drawback; none of the imbedded bibles in English are Catholic editions. Audio Bibles are available but not downloadable. These include the Catholic Douay Rheims. Study tools include reading plans, search capability, note taking, highlighting and bookmarking capability. Text can be sized for easier reading. Your bookmarks, highlights and notes are saved on YouVersion.com which you must log into to use. But this gives you cross-platform use wherever you go with whatever relevant device you use to access the Bible you are in the midst of reading. 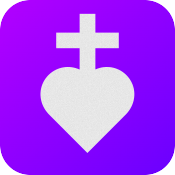 Catholic Social Teaching app (Free) iOS Don’t let the low-tech icon fool you into thinking this is a cheesy app. Produced by the Ethics and Public Policy Center in Washington, DC, this app offers rich content for users to explore Catholic social teaching, a central and essential element of our faith. This app neatly segments study of the topic into four parts: commentary, Church documents, authors and cross-reference search. You’ll likely head straight to the commentary segment which is filled with links to published articles on topics relevant to today’s social justice issues. Kudos to the app developers for providing links to the original source of the articles with brief summaries. Further kudos for choosing an impressive list of Catholic authors representing a broad spectrum of thought including popes, bishops, theologians, canon lawyers, scholars, pundits and, of course, a Jesuit or two. But do not expect to find commentary leaning wildly left as most articles are gleaned from publications with a decidedly conservative bent. Principle ecclesial documents key to understanding social teaching in light of the Catholic faith are all included from Rerum Novarum (1891) to Evangeli Gaudium (2013). These are the primary, indispensable sources articulating our modern faith tradition in this arena. The built-in search cross-references commentaries and Church documents, but the search terms do not typically bear much fruit. 8 languages: English, German, Polish, Spanish, Japanese, Korean, Simplified Chinese, Traditional Chinese. Pope App (Free) iOS and Android For up-to-date (even live!) content connecting you with all things papal in the palm of your hand. This app was developed by the Pontifical Council for Social Communications utilizing Vatican News Service as an all-access pass to Pope Francis with official papal-related content in a variety of formats: Twitter feeds, news and official speeches, galleries with the latest images and videos, access to his calendar, and links to other services of the Holy See along with video (live and on demand) of important events. Get timely ALERTS and links to top stories coming out of the Vatican’s many news outlets. A great app to have handy to pick up all the latest official material coming out of Vatican news services. Not to be confused with the Pope2U app which is primarily news oriented and geared for the younger audience, Pope App delves into a wide array of media sources of all things papal. The interface is similar to Facebook’s mobile app, so it is intuitive to those users.The 6 Vatican web cams stream live too. 5 languages: English, French, Italian, Portuguese, Spanish. Despite our praise, we acknowledge a few significant mis-steps with this app. We would prefer that the major writings from the pope be delivered in full (Apostolic Exhortation, Evangelii Gaudium, was a partial download!!) and that the major writings be left on this app for easy access. As it stands, material only remains for a period of time on the calendar. Some material is not always displayed in full. Complete review here. Requires internet service to run this app. Missio (Free) iOS and Android Launched by Pope Francis (on May 17, 2013) and created by the Pontifical Mission Societies, MISSIO is designed as a Catholic news aggregate for for staying up-to-date on the latest Catholic news from the Vatican and around the world with daily news reports and videos offering a Catholic perspective on world events. The mission society’s application for mobile devices and smartphones collects news from Rome, stories and photos from the missions and other material, according to developers. Available in English, Spanish, Italian, German, French, Portuguese, Chinese and Arabic. Radio Vaticana (Free)- iOS, Android, Windows Phone. You get three basic functions: Radio, Pope’s Agenda, and News. Radio has 5 channels, 70 programs in 40 languages including Spanish. Follow Pope Francis in real time with text and audio of his various public appearances. The world news portal contains an international news feed and links to mp3 audio of the reports if you want to access news delivered in that format. Enjoyable, enlightening reports and interviews from the geographic center of the Catholic faith with coverage around the world. October 22 is the first feast day celebrating St. John Paul II who was canonized in April 2014 along with St. John XXIII. Here are a couple free apps that can help you get to know this great pope of our age who impacted the Church and world history. October 22 is the first feast day celebrating St. John Paul II who was canonized in April 2014 along with St. John XXIII. Here is a useful free apps that can help you get to know this great pope of our age who impacted the Church and world history. iCatholicRadio (Free) iOS Android– a Catholic Radio service of Holy Family Communications, a not for profit organization. 24/7 access to solid Catholic teaching, live call-in shows, talk shows, devotionals, and the Holy Sacrifice of the Mass. From developer: Now with listeners in over 140+ countries. Tune in and witness the treasures of the Catholic faith. Learn about Scripture, pray along with devotionals and the Mass, delve into Church history and get answers from the top Catholic Apologists on how to give a reason for the Catholic faith. Radio Católica (Free) iOS Quality Catholic programing in Spanish. Outstanding list of quality apps w/descriptions! !